Agitation demanding Ram Temple construction in Ayodhya, December 9, 2018, New Delhi, India.Hindustan Times/Press Association. All rights reserved. Foreign reporters coming to cover India’s general election in a few months ought to dive deep into the sea of mythology that has sustained this ancient civilisation. Apart from India’s secular and democratic Constitution, they must read the great Hindu epics such as the Ramayan. To understand the modern India, they have to go back billions of years for the epochs whose memory is rekindled in poll campaigns. Beliefs have become more relevant in politics. Since the ruling BJP injected religion into politics, the media has drawn extensively on mythological stories. The BJP campaign in recent state elections focused on a Ram temple, Lord Hanuman, castes, sub-castes, gods, sadhus, and the holy cow. What do the voters really want from an elected government? Many commentators wondered. The ruling BJP and its family of right-wing religious groups propagate Hindutva, a muscular and aggressive form of Hinduism. Their opponents see it as a distortion of their noble, gentle and inclusive faith. Superficial signs of modernity do not hide an India that seems obsessed with its pre-historic past. The political discourse resounds to the cries of “tradition, tradition”. But eclectic Hinduism has clashing traditions and the rival armies pick and cite what validates their belief. Come to India and hear about the child who leapt up thousands of miles to eat the Sun, imagining it to be a fruit! He fell down on a rock and got his jaw disfigured. 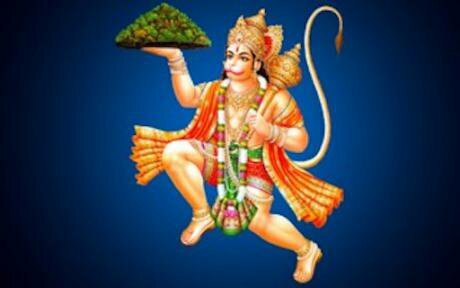 This child with a tail and the face of a monkey grew up to be Lord Hanuman to whom the largest number of temples are dedicated in India and in other countries. An ardent devotee of Lord Ram, he miraculously rescued Ram’s wife Sita abducted by Ravan, the king of Sri Lanka. Lord Ram is the seventh incarnation of Lord Vishnu who belongs to the Trinity of Hindu gods. Lord Hanuman.Come to India and feel the miraculous presence of a “divine mortal, a mortal god, incorporating both into the exemplar who transcends both humans and god”. Ram is described thus by scholar Sheldon Pollock. Lord Ram’s influence extends to countries in South Asia and South-East Asia and to Buddhism, Jainism and Sikhism. His long rule over his kingdom of Ayodhya is famous for good governance, called Ram-Rajya. 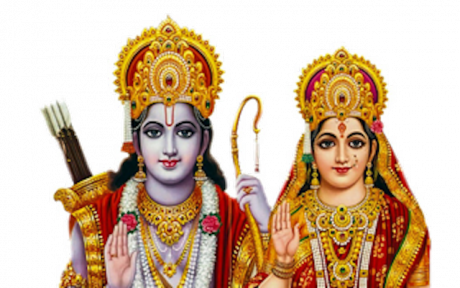 Ram’s life as an ideal human being has inspired sacred texts, varied biographies, poems, philosophical schools and books, paintings, films, sculpture, puppet shows, shadow plays, festivals, novels, songs, TV serials and plays. But he also comes in for criticism by many Hindus for his treatment of Sita. A Hindi poem attacks him on this count. Ram’s devotees sometimes indulge in violence as they did while demolishing a mosque in 1992. 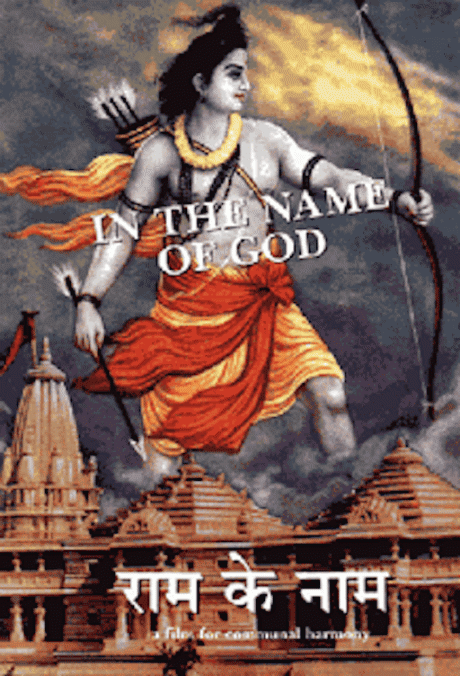 A powerful documentary Ram ke Naam (In the Name of God) covers the issue of religious violence. The demand to build a Ram temple figured prominently in the recent state election campaigns. The BJP set the terms of political discourse that also featured the protection of the holy cow. In a BJP-ruled state not involved in the elections, a mob agitating against alleged cow slaughter killed two persons including a police officer. Following this tragedy caused by cow vigilantes, the state’s monk-politician chief minister Yogi Adityanath instructed the police to focus on the crime against the cows! Those stressing the value of human life, including a noted film actor, got trolled in social media. The monk-chief minister unfolded a plan to build a gigantic 221-metre tall copper statue of Lord Ram in Ayodhya. He announced this holy project hours before a rally of sadhus and political activists in that town demanded that the Ram temple be built on the site of the demolished mosque. The statue plan is also designed to soften the hardliners in the ruling party and its right-wing allies who have started criticising the Modi Government for its failure to build the Ram temple in Ayodhya. They believe a large number of Hindus voted for the BJP because they were sure that its government would make their temple dream come true. An idol of Ram and Sita together in a temple.While the sop of the proposed Ram statue is unlikely to silence those demanding the temple, some intellectuals comment on the statue plan from the Hindu perspective. Karan Singh, scholar-parliamentarian, asked the monk-chief minister why there must be a statue of Lord Ram without his wife Sita. It should have both Ram and Sita. He points out that Lord Ram is traditionally always shown in the company of Sita and the couple is referred to as Sita-Ram and Siya-Ram. Sita was unjustly banished on the basis of a rumour after she was rescued from the kingdom of Ravan. So she ought to be honoured. Author Mrinal Pande highlights the convoluted history of idol-worship in the Hindu tradition by pointing out that the Vedic verses offer prayers only to anthropomorphic forces like the Usha (dawn), Vayu (wind) and Agni (fire). In that era, idols were not created so there was no question of building structures to house them for public worship. Then came icons and much later idol-making was borrowed from Buddhism and Jainism. Sculpted images of gods in various forms caught on in the 4th century. Scriptures appeared saying that the learned ones and yogis know that their gods are in heaven, for the less knowledgeable, they reside in idols made of wood or clay. The sizes specified for idols are tiny to small and thus a giant statue has never been prescribed. Mrinal Pande points out that there is no reference to installation of a large statue of a god out in the open and thus leaving a large divine idol out under the skies is not an option at any point. A political activist wanting to pray in the proposed Ram temple in Ayodhya is opposed to this statue for the simple reason that it will be sullied by birds sitting on his head! 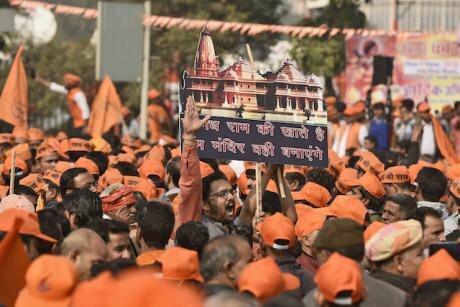 The Hindu nationalist politicians and other devotees demand that the Ram temple must be constructed precisely on the spot where the Babri Mosque was built in 1528. This mosque was demolished in 1992 by a politically mobilised mob. It was said that Moghul Emperor Babur built it after demolishing a Ram temple there. And that the temple had supposedly come up on the spot where centuries earlier Lord Ram was born. The movement for building the Ram temple in Ayodhya that began before independence has a tangled history and an eternal life. It sees ups and downs and, depending on the political situation, and is activated or allowed to hibernate. The demolition of the Babri mosque, which resulted in widespread religious clashes and killings, marked a turning point in Indian politics. The demolition sent a shock wave since India is dotted with common places of worship visited by Hindus, Muslims, Christians and Sikhs. Secular Hindus as well as a large section of devout Hindus called the demolition a shameful event in India’s history. While the Hindutva votaries celebrate that day as a Day of Bravery, many Hindus along with Muslims see it as a Black Day. Here is just one example of the typical reaction of genuinely devout Hindus to the destruction of the Babri mosque. Writer Salil Tripathi’s elderly Gujarati mother was grief-stricken while watching the mosque destruction on tv. She rang her son in Singapore to say: “We have just killed Gandhi again”. And she added: Avu te karaay koi divas? (in Prime Minister Narendra Modi’s mother-tongue). Can anyone do such a thing any time? Her statement comes closest to the British sentiment: It’s simply not done! After the mosque’s demolition, philosopher Ramchandra Gandhi argued that in the Hindu tradition, the place where a baby is born is considered “impure” and thus a temple cannot be built on such a site. These days anyone arguing with a believer has to run for safety. Swami Agnivesh, a social activist and Vedic scholar, was subjected to a physical assault for his campaign against superstitions and “belief without truth”. Religious intolerance is not caused by theological differences but inspired by a political force seeking to consolidate Hindu votes. In a politically-surcharged atmosphere, no one should doubt that the appearance of Lord Ram’s idol in the mosque on the night of December 22, 1949 was an act of God. That this was no divine intervention but a man-made conspiracy to generate religious mass fervour is recorded in a police report on the incident. But a police report or a court judgment cannot lead to suspension of belief. Forty years later in 1992, a Hindu nationalist leader, L K Advani, revived the Ram temple movement with disastrous consequences and went on to become India’s Deputy Prime Minister following BJP’s unprecedented election victory. The Ram temple dispute symbolises a tragic but sustained interaction between religion and politics in India. It proved its political potential and encouraged the Hindu nationalist party. Notwithstanding the campaign by the BJP and its allies, it has not been possible to build the temple on the legally disputed site. Massive preparations for it have been going on for years to keep the momentum. Some Hindu nationalists accuse Prime Minister Narendra Modi of betrayal since he has been in office for more than four years. Now, as Prime Minister Modi’s popularity shows some decline, one of his regional allies, Shiv Sena, is trying to steal a march over the BJP by declaring that its alliance will depend on the building of Ram temple. It says unless the Prime Minister does that, his party will be defeated in elections. Shiv Sena’s slogan is “Temple first and the Government afterwards!”. It is organising more rallies for building the temple without waiting for the Supreme Court judgment on the dispute. If the Modi Government does take the route of an ordinance for the temple to be built soon, Shiv Sena will take the credit in the election campaign. 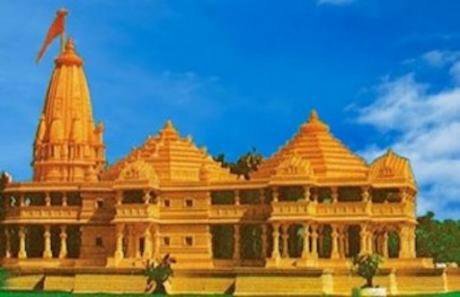 A model of the proposed Ram Temple in Ayodhya.The demand for the temple in Ayodhya continues to inspire thousands of Hindus to assemble in several towns to raise saffron flags and shout slogans. The ruling party’s political future seems to depend on the Ram temple dispute that awaits the Supreme Court judgment. The Hindu nationalists issue subtle threats to convey to the court that it should “respect Hindu sentiments”. The primacy of the Ram temple issue is mainly due to the associated religious rivalry on which sectarian politicians feed. The issue would be less significant for a political party had the dispute not involved a mosque. It lets a politically-surcharged emotional discourse be framed in temple vs. mosque terms. Religious fervour pulls large crowds and as Swami Agnivesh, a Vedic scholar and social activist, says, crowds are to politicians what corpses are to vultures! The Sabarimala temple issue cannot be seen as a clash between tradition and modernity. This was originally a temple of the forest-dwellers and traditionally had no restrictions on the entry of young women. The prohibition came as recently as 1991 when menstruation was linked with impurity and thus with the celibate Lord Ayyappa. Protests have sought to upset the temple’s traditional secular identity and religious symbiosis by disapproving of Ayyappa’s association with Vavar, a Muslim. So, it shows that tradition can be modern, and modernity promoted under the upper-caste influence can lead to the obscuring and violation of women’s rights! Ram’s political devotees remained on the fringe in secular India for more than four decades. But in the nineties, the fortunes of a political party were turned around by the movement to build a Ram temple on a plot of land where once a mosque stood. Later Hindutva lost some of its political influence only to return with full force in 2014. The Hindu nationalists won a big victory mainly because the voters got disappointed by the Congress government. Then in the state elections a few weeks ago, the Hindutva card did not work. The ruling BJP is preparing to play the Hindutva card with greater vigour since it has little else to influence the voters. Grand plans have been drawn up for the mega religious fair called Kumbh beginning this month in the state of monk-chief minister. It is held every six years and draws millions of Hindus for a ritual bath at the confluence of sacred rivers in a town whose name has been changed from Allahabad to Prayagraj by the Yogi’s government. The devotee’s sins are washed away by the holy dip at the confluence of the Ganga, Yamuna and the mythical Saraswati. The last one in 2013 was attended by 100 million people. The largest gathering of humanity on earth can be photographed by satellites in space. The state-enabled confluence of religion and politics is not hard to observe. The official preparatory events for this religious fair carried a subtle political message. The UP Government has allocated a huge budget for making the fair a magnificent success. The chief minister earlier got the government building painted saffron, a sacred colour that is used in the flags of the BJP and the RSS. The Yogi has made it mandatory for all official stationery and publicity material including hoardings and advertisements, to carry the Kumbh Mela logo. The logo shows Sadhus taking a holy dip against the backdrop of temples and the Swastik symbol. Cinema halls have been directed to screen the Kumbh logo after the national anthem is played. Lord Ram has often been dragged into the political arena since India’s independence. The public display of devotion to Ram intensifies during election campaigns. At times, Lord Ram grants an electoral boon to his devotees; at other times, he withholds that favour and the secular constitution is not undermined. Inter-religious harmony impedes political mobilisation on a sectarian basis. That is why it becomes necessary to cause a conflict between Hindus and Muslims by inflammatory statements. The status of the Muslim minority is to be lowered through militant Hinduism. The ruling BJP strategy to win elections through religious polarisation not only marginalises a minority but also divides the Hindu community. Its campaigners say Hinduism is in a danger that must be warded off through political power. Their opponents feel that if Hinduism needs any protection at all, it is from the Hindutva crowd seeking to make Hinduism less tolerant. In the current political atmosphere, many vigilante groups are formed and take to violence without fearing the police. On one St. Valentine Day, the Christian saint attracted the hostile attention of Hindu vigilantes who roughed up couples in a south Indian town. A few days ago, a radical group attacked a house in a village in Maharashtra where a Hindu family had invited many worshippers for a Bible prayer meeting. Some 13 persons were injured. The memory of the alleged beef sellers or cow killers being killed is still fresh. The police are often charged with indifference in such cases because of the political pressures in BJP-ruled states. That the Hindutva card did not yield the desired election results this time does not mean that sectarian political leaders will stop using religion for political mobilisation. In fact, among Hindutva allies, the competition in religious extremism is set to grow in the coming weeks. With the general election due in May, Lord Ram will loom larger on India’s political scene as the movement for building the Ram temple on a Hindu-Muslim disputed site has been intensified. This enthuses many Hindus but disturbs those opposed to the religion-politics nexus and the official push towards majoritarianism. The latter feel concerned about Hindutva rising on the back of the Modi Government. They are religious, but they also worship the secular constitution. They do not want God descending in the election machine. The ruling BJP is convinced that the Ram temple issue will help it win the coming national election. It is a powerful instrument for building a massive vote bank through religious polarisation. Faith yields votes, enriches the priests’ coffers and unleashes armed mobs against the Other! Christianity has lost such powers; a version of Hinduism retains these. Some so-called religious movements diminish India’s secular Constitution and the much-admired syncretic tradition. Once again it will be evident in the coming months that inter-religious and inter-caste tensions make the consolidation of votes possible. God’s help is sought for election victory, not for peace and social harmony. The protection of democracy in India also lies in the hands of the Divine! A poster of the documentary In the Name of God.